This is the ninth in a series about how nine clients, friends, family members and I have transitioned or transformed careers after age 50. This month’s blog will be my story, and how I have been bridging to a portfolio life over the past two years. 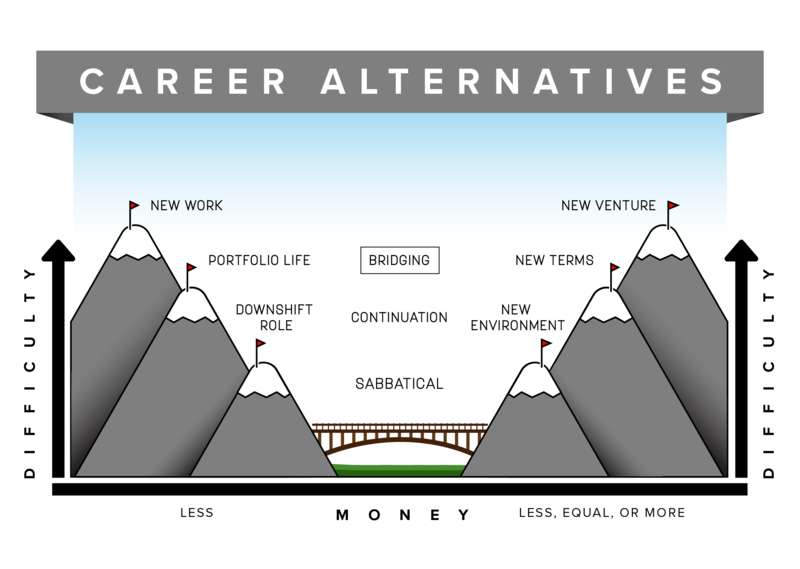 Bridging is intentionally moving from one career option to another over time. The past two years I have been laying a foundation for a shift from my full-time solo practice to a more diversified portfolio life that I will begin next month. The graphic above reveals the degree of difficulty and the economic considerations when seeking a portfolio life. This career alternative involves a redistribution of time committed to work, community and personal activities. 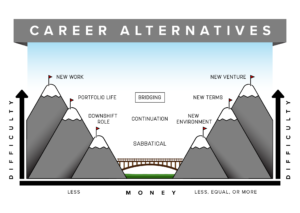 In my January, February and March blogs, I described each of the nine career alternatives, with corresponding strategies, economic considerations and degrees of difficulty. Please refer back to these three blogs as you prepare for your own career transition or transformation. I started my professional life on track to becoming a psychologist. My interests, skills, internships and studies all pointed in this direction. After a few years as a mental health counselor at Abbott Northwestern Hospital, however, I found that while the profession was meaningful and the work extremely engaging, it wasn’t a great fit for me for the long run. It was just too mentally and emotionally draining. While still working on the young adult inpatient unit, I was recruited by a vocational psychologist. My next career move was to a job placement position for a vocational rehabilitation firm that helped injured workers return to work. After a few years in that role, once again feeling the frustrations of the work, I decided it was time for a more significant career change. I proposed a shift from vocational counseling to a marketing and sales role in the same organization. I decided to stay in the same field, and the same firm, in a different role. I also enrolled in an MBA program. With such a big career change, I had some serious learning to do. Shortly after completing my MBA, I landed a marketing product management job in a medical equipment rental company, Universal Hospital Services. The organization was great, but the work was boring. Just a year and a half later, I quit that job with no clear plan for what was next. In a matter of a few weeks I decided to pursue a different marketing job as an account manager for an employee assistance program that provided employees free, confidential assessment, counseling and referral services. In 1989 I was approached by the head of a small outplacement firm named Career Dynamics. I had referred two of my employee assistance clients to this firm. Practice leader Joan Strewler Carter met me for lunch to thank me for those referrals. She and I shared a background in psychology and vocational rehabilitation. When she learned that I also worked in marketing and sales and had and MBA, Joan said I had the perfect background for outplacement career coaching. I agreed with her assessment and joined her firm, thus beginning my 29 years in executive career transition coaching. I spent seven years with this small “boutique” firm. My next seven years were spent in a similar role with Right Management, after it acquired Career Dynamics. Seven years later, Manpower acquired Right Management. Can you see a pattern forming here? After spending another seven years doing similar executive career transition coaching work with Manpower as the parent company, I decided to go solo. I have always preferred creativity and independence in the way I approach my work. Going solo would give me total creative freedom in my next career move. After 21 years starting in a small, then medium, and finally a large career transition firm, I started my solo practice in November, 2010. This turned out to be a great decision, and for the past eight years, I have loved having a practice that is exactly what I want to do, with the executive career transition clients I am best suited to serve. The past two years have been bridging years for me. Sixty-four is the age my wife Bonnie and I set to downshift our professional work and broaden the other parts of our life. Thinking ahead, at age 62, I began seriously exploring and experimenting with the five elements of a portfolio life. I have also been shifting my personal and community connections to people who have already crossed over to this way of life and work. David Corbett’s book, Portfolio life: The New Path to Work, Purpose, and Passion After 50 describes five elements of a portfolio life: Working in the form you want, learning and self-development, giving back, healthy living, and enjoying personal pursuits and leisure. In September, 2016 I wrote a blog that explained how to bridge to a portfolio life, in which you can see how I have been making this shift, and how you too can build a bridge to a portfolio life. This month I turned 64. Next month, my career transition practice will be reduced to three days a week to make room for a broader, more diversified life. I am committed to a portfolio life as an ideal way to live and work for as long as I am able. If you want to learn more about the portfolio life option, read my October, 2014 blog. 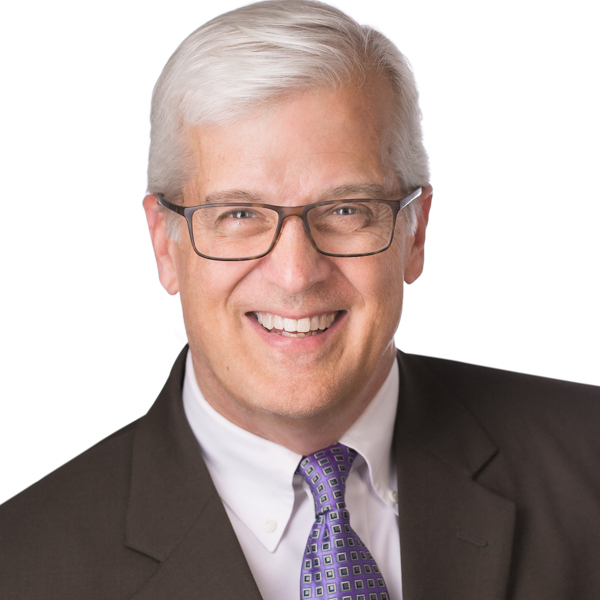 In January, I will begin a new monthly blog series titled, “Life and Work After 60.” Each of the five elements of a portfolio life will be detailed during the first half of 2019. Case studies will again be an integral part of this blog series. I would appreciate learning how your portfolio life has evolved, if this is your second half story. Please respond to this blog if this is the case for you. Let’s help one another navigate our next chapter when we narrow our work, and broaden our world.